I know it has been a long time since I posted here. We have been busy enjoying my retirement and time just gets away from me. Still, I didn’t want to let Christmas go by without a new post. Georgia and I will be in Arizona for Christmas this year so, I am sharing two videos this time. First, as I have done every year, is a version of Silent Night. This time I am going back to a Gaelic version by Enja since I haven’t used that for a few years. The second video is to commemorate our holiday trip to the southwest. 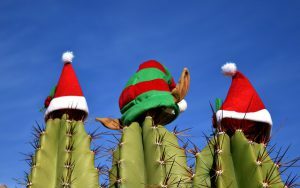 It is called Arizona Christmas by Dave Vitagliano. I hope you enjoy this one too.